His Majesty the late King Bhumibol Adulyadej was often described as a modern-day renaissance man by those who knew him well. He counted diplomat, linguist, translator, musician, artist and photographer among his dizzying array of talents. Evidence of this is not only found in the myriad press clippings and novels that documented his life, but also the legions of modern-day Thais who follow his example—snapping photos, playing jazz and building on social initiatives in his name. His majesty was also an avid sailor and talented boat builder, indeed not only did he sailed many regattas but he also build his own boats. 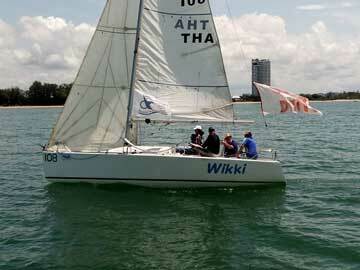 Disabled Sailing Thailand has become the first sailing club for persons with disabilities in Thailand. Sailing is not only very therapeutic but it also empowers persons with disabilities and gives them the freedom and mobility that is often lacking in their lives. Persons with disabilities face a lot of challenges in their everyday life. Simple tasks that ordinary people perform on a daily basis (i.e. shower, dressing up, brushing teeth or even having a meal) as routine are extremely delicate and difficult to those suffering from disabilities. But there are plenty of activities that disabled persons can engage in, in order to help them mentally, socially and physically. 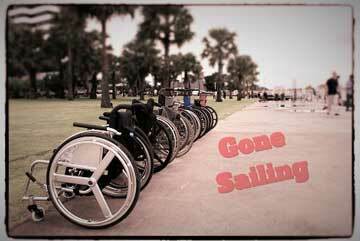 It all began with the announcement that sailing had been removed from the paralympics. A group of enthusiast sailors at the Ocean Marina Yacht Club went on a quet for helping the cause and soon realized that Thailand did not offered any opportunities for sailors with disabilities. After a few meetings Disabled Sailing Thailand was born and since been growing to a successful venture within the Thai yachting community. 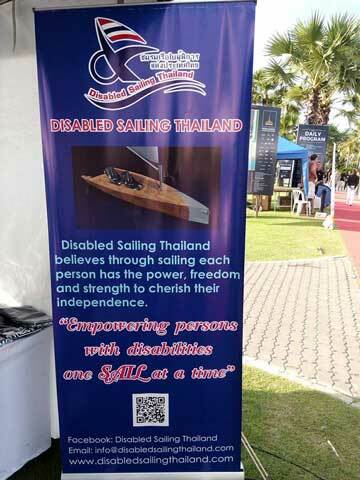 Our long term and ultimate goal is to help persons with disabilities to improve their quality of life with better opportunities and for those that develop a skill for sailing to help them represent Thailand in international regattas and eventually the Asian Para-games and the Para-Olympics but also to ensure that any persons with disabilities can enjoy the freedom experienced in sailing without competitive obligations. We offer full theoretical and practical training in both Thai and English. Our course is a 5-6 week theoretical class, anyone with any kind of disability is welcome to register. A series of shore-based sessions are held to explain the principles of sailing and to promote a desire to use sailing as a method of escape the fetters of the normal world. Anybody with a disability can participate, Thai or foreigner. So far, people that have shown interests are physically disabled (quadriplegic, paraplegic and amputee). Our currents team has two sailors that are paraplegics, one quadriplegic, and one amputee. We currently have 4 registered sailors. All our sailors have now an official sailor ID from World Sailing and can now participate in any competition. After the end of six weeks of theory class.